The fair was held August 15-21 in Escanaba. With nearly two inches of rain Saturday and flooding throughout the fairgrounds, gate attendance dropped 75 percent on the day that is typically the fair’s busiest day. Gate attendance was down 38 percent on Friday when a quarter of an inch of rain fell. “When all is said and done, we were down by only 13 percent which, obviously, it could have been much, much worse. Our final gate numbers come in at just above 75,000. So, that’s not bad,” said Vickie Micheau, executive director of the Delta Chamber of Commerce. Attendance in 2015 was 83,600, an increase of 2 percent over 2014. 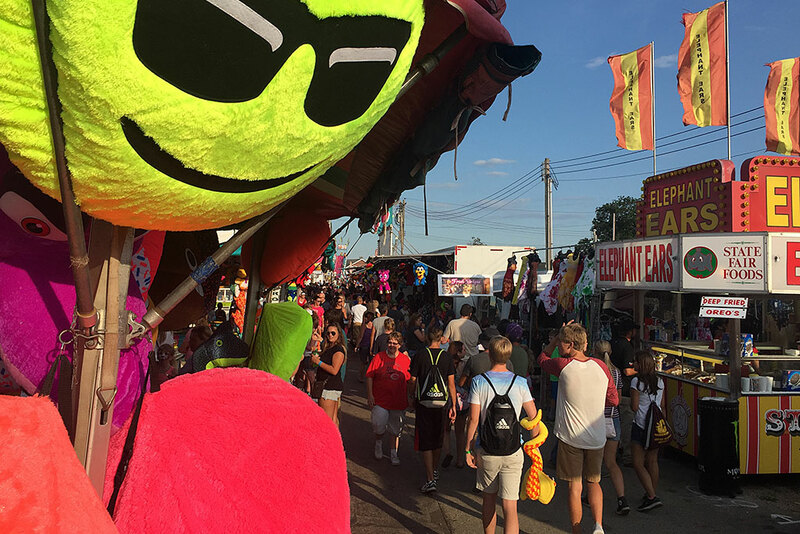 Attendance numbers are based on tickets purchased or distributed in advance of fair week to vendors, volunteers, media, sponsors, and employees as well as tickets purchased at the gate during the fair. Despite lower attendance, Micheau said grandstand receipts for gold circle seating, carnival income from Skerbecks Entertainment group and sponsor income all saw increases this year. Gate receipts totaled $320,736. Fair ride ticket sales grew another 1/2 percent over last year. Overall numbers where bolstered by a 300 percent increase in gate attendance on Sunday. Waiting until Sunday because of Saturday’s rain and the first year of a full fair day on Sunday were credited for the dramatic increase. “The extended hours, the fireworks. reduced gate admission, people really came out. It was one of our better days,” Michael said. Gate attendance was up 10 percent on Thursday, 14 percent on Monday and 42 percent on Wednesday. Tuesday’s attendance was about the same as 2015. Micheau said the appearance of Dan+Shay at the grandstands is one of the reasons that attendance was up on Wednesday. Veteran attendance doubled Thursday on Veteran’s Day. The fair’s Red, White and Blue patriotic theme this year was also picked up by Bret Micheals Thursday night when he honored servicemen and women on the grandstand stage. Micheau said there was concern that predicted rain Saturday would affect sales at the Junior Market Livestock Auction. Organizers arranged the partially covered beef arena to keep bidders dry. They responded with $510,000 in sales. “They were preparing on Friday making sure that they had everything set up so that when the buyers came they would have as much comfort as possible based on what the forecast was for rains on Saturday,” Micheau said. It included the sale of 134 hogs despite flooding keeping the animals from the arena. The auction also sold 76 steers, 38 lambs and 7 market goats. Preparations for next year’s animal exhibits are already getting underway. The Bay de Noc Beef Producers will hold a fall classic sale at the U.P. State Fairgrounds on Sept. 17 for youth to start on next year’s project. Next year’s U.P. State Fair is scheduled for August 14-20. Share the post "U.P. State Fair numbers hit by rain, flooding but up dramatically Sunday"